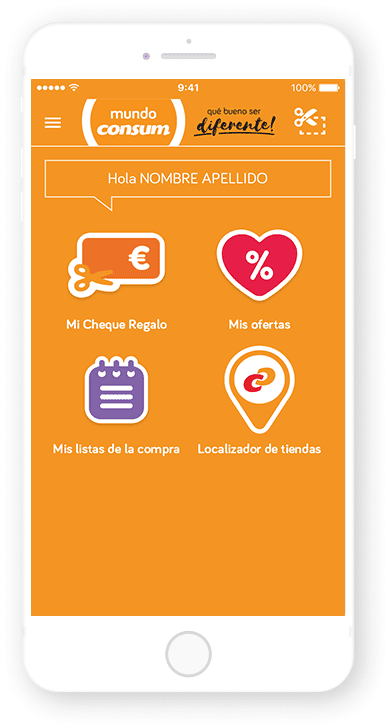 Consum, one of Spain’s largest supermarket chains, gets closer to customers by creating a new point of contact via smartphone to deepen customer loyalty. Cuatroochenta has been responsible for restyling the Consum app since 2015, by including new features that respond to the needs expressed by users since it was launched back in 2013. The Consum app, developed jointly by Cuatroochenta and the agency We Add You, is available both for Android and iPhone, creates direct and personalized communication with customers and provides them with tools to positively reinforce their supermarket experience. Redeem gift, discount or purchase vouchers directly from their smartphones. Create personal shopping lists in their smartphones, with the possibility to directly add products. Receive notifications on arrival to the supermarket thanks to ibeacon detection. View the promotional products catalog. See the location of Consum supermarkets to find the closest ones.